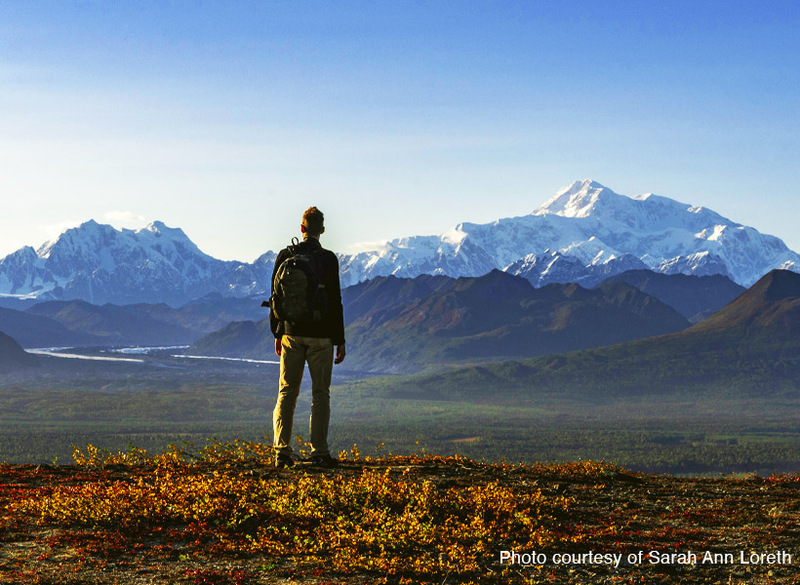 For the active traveler, a Denali Wilderness Hike is the perfect way to discover this amazing place. This hike usually involves substantial elevation gain, getting you up to the big views above tree line. The trail is not steep or difficult, but a long, steady climb makes this trip fairly strenuous. 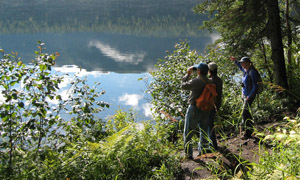 Explore Alaska's spectacular wilderness on an exhilarating trek with an experienced naturalist guide. 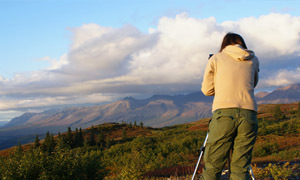 Denali State Park is famous for its hiking trails, wildlife, and magnificent views of nearby Denali. 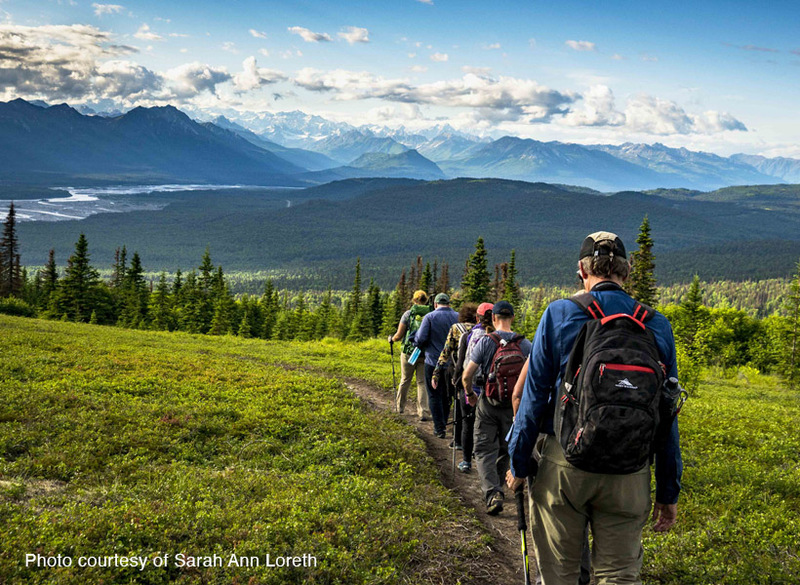 Your 5 to 6-mile hike gains 1,100 feet in elevation, climbing from lush forest to alpine tundra and stunning panoramic views of Alaska Range peaks and glaciers (weather permitting). 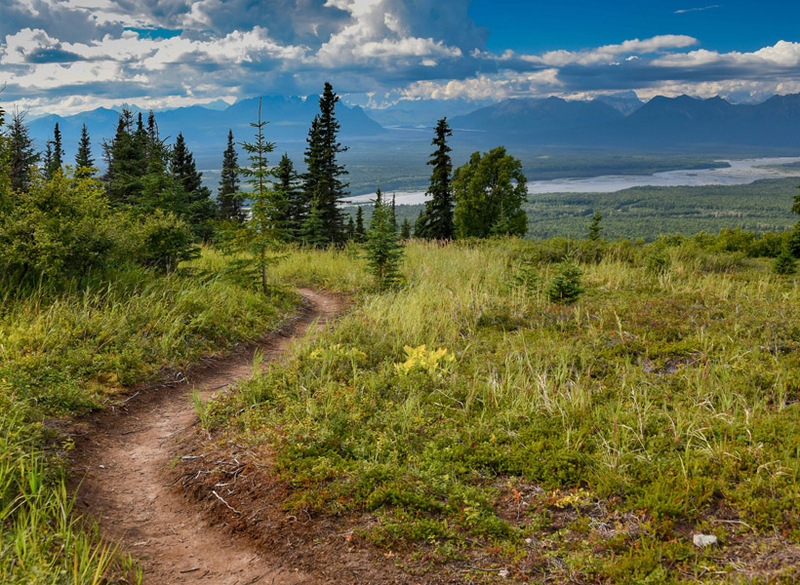 This is THE best trail for Denali Views! 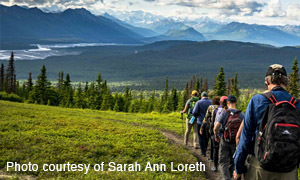 Photographic opportunities abound from majestic alpine vistas to delicate wildflowers and berries. 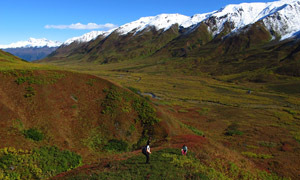 Denali hiking doesn't get any better than this! Available as a custom trip, contact us for details. Hikes are 5 to 6 miles on established trails. Sturdy walking shoes recommended. Bring rain gear, bottled water, and dress for current weather conditions. Raingear and trekking poles are available. Trail routes may vary due to trail and weather conditions. I enjoyed it immensely. 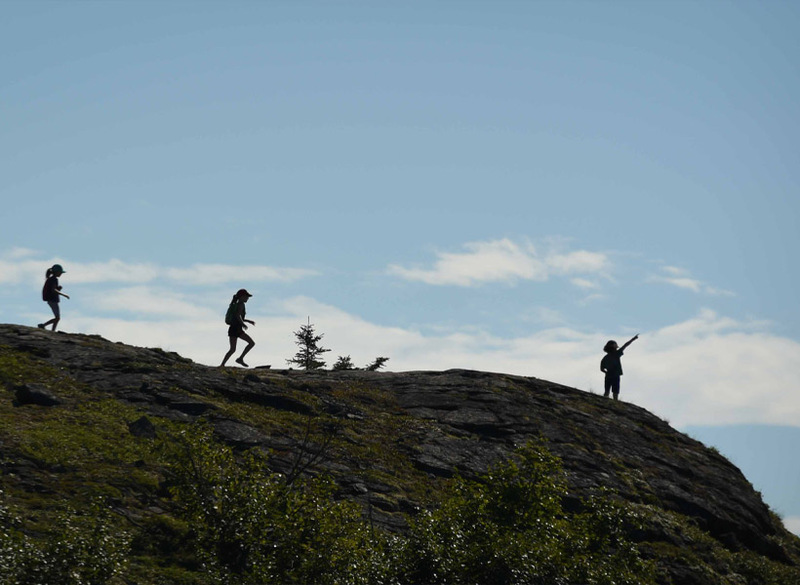 First good hike I've had in Alaska and Joelle was an exemplary guide. Her sunny personality really brightened up our grey day. 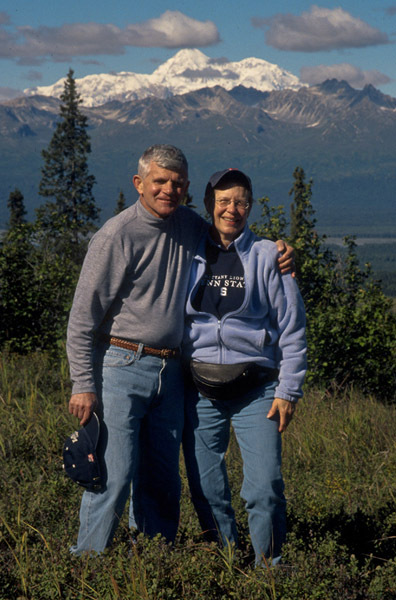 I am writing to let you know how much we enjoyed our wilderness hike with one of your guides. 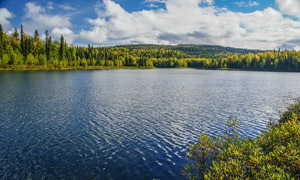 He took my family and I on the Wilderness Hike on June 24 and it turns out we all agreed that it was one of the highlights of our 2-week trip. We appreciated the fact that he was so enthusiastic and engaging and that he allowed our hike to be challenging. The trail wasn't overly manicured so we felt like we had a true wilderness experience. So we send our thanks to our guide and to your organization for a great time. Our guide Toni was great! She carried everyone's lunches to the top, she told us all about the wildlife, plants and wild berries. Just an unbelievably beautiful hike with an outstanding guide! 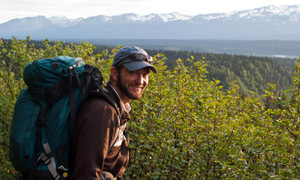 Would do the Denali Wilderness Hike again in a heart beat! Just wanted to put in a good word for Brian. We took the 6-hour hike with him on 6/14 and had a wonderful time. This was one of the highlights of our 13-day visit to Alaska. Brian displayed a wealth of knowledge on the area, covering a wide range of topics and with a great attitude. He set an excellent pace, that was fast enough for those of us who are more experienced hikers, yet not so fast as to tax the less experienced or to cause us to miss interesting sights. Oh, and the pasta salad was really good, too!" This is more than a job to us. Sharing this area with our guests is our passion, and it shows. We always go the extra mile to give you a safe, fun, and memorable experience. We take you to the best places with the best guides, and we take care of the places we go. Come explore with us; you're in good company! "Bucket List Heli Trips That Don't Involve Skiing"